Click the button below to add the Decorative 16 Ceramic Relief Tile Sale to your wish list. For sale for a discount price sixteen relief tiles with distinct patterns shown on the photo. 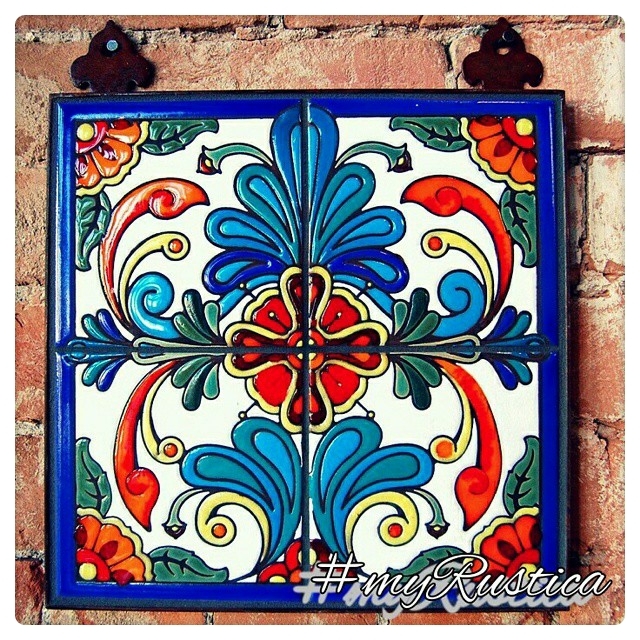 Those relief ceramic tiles were made in Mexico by an artisan from Dolores Hidalgo. It is stock product for immediate delivery to the US, Canada as well as worldwide. Each piece is 4x4 inches in size and half an inch thick perfect for coasters, decorative accents and samples. There is only one ceramic tile set available, any additional tiles would need to be ordered separately and their production time may take about five weeks including shipping.